Custom machinery can provide a wood shop the ability to respond to market needs when there’s no one else around with the same capability. 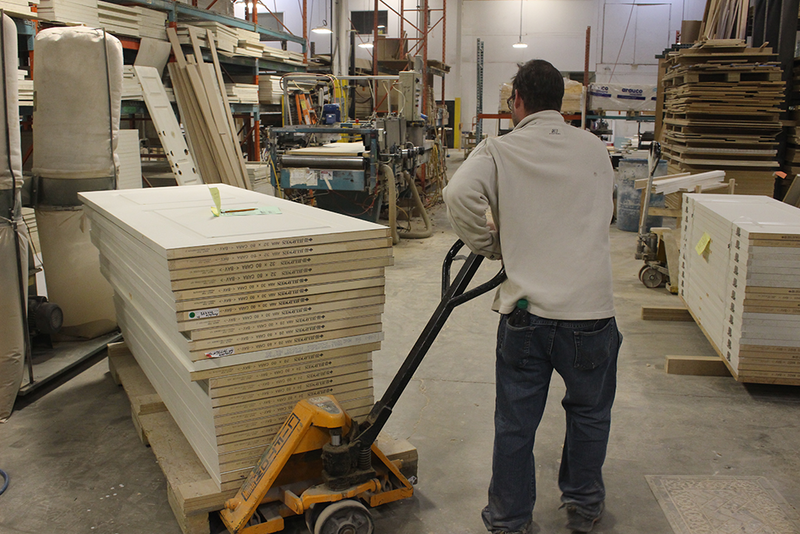 For Ferndale Trim and Doors in Barrie, Ont., its equipment offers local new home builders, general contractors and renovators greater flexibility to fulfil orders with wider jambs and casings than its competition. The company has featured inhouse design consultations in model homes throughout Southern Ontario, a service available to all clients. The organization, now at close to 50 employees, was originally an installation company purchasing from other suppliers. Due to the lack of competition in the supply end of the business in the area, there was a need to improve the quality of the product, timely delivery and service. 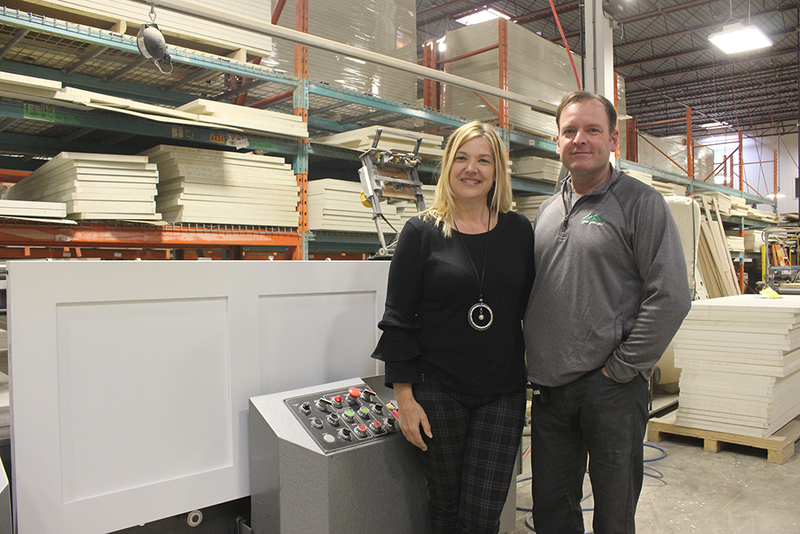 Co-owners and spouses Diane and Ken Frederick have built their company gradually over time, to the point where in late 2018 it consolidated two neighbouring operations into one 25,000 square foot facility. 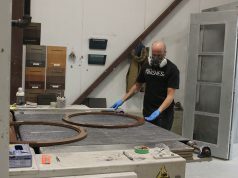 Besides trim and door work, the company also offers custom cabinetry designed by Diane, the woodworker of the two, who grew up close to sawdust. 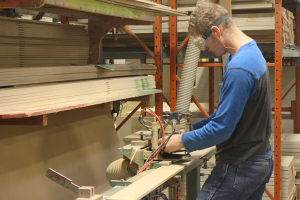 While doing construction on the side, Diane built cabinetry and furniture, but found it was not a stable job, so she continued on in sales, moving into fasteners from sandpaper. Diane went to work at Ferndale initially to start the storefront, but two months later became operations manager then general manager two years later. Another two years after that the Fredericks bought the owners out and became full time owners of Ferndale Trim and Doors in 2009. But running Ferndale meant not just doing trim, doors and millwork. “We were also a small cabinet shop and initially we were not going to continue that part of the business,” Diane says. “It was my playroom — I would be in there every Saturday building the mantles and all of the stuff for the week. “Then we had to start hiring cabinetmakers because I had no more life.” The “other” side of the business kept growing, too, with builders and customers who would ask, “could you do this?” Diane would say that she could build the cabinets and design something more specific or unique to a project. 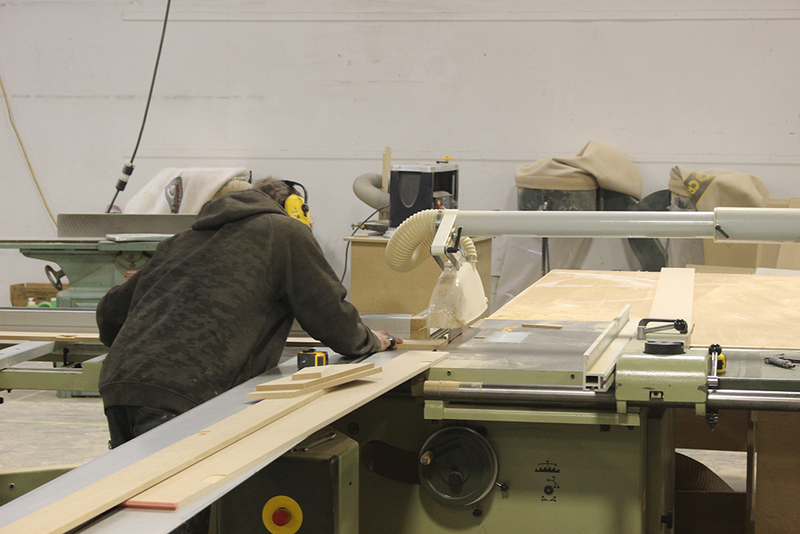 Diane is clear that the woodworking shop has always been her passion. “But I can’t have a business that feeds 50 peoples’ families by just my passion!” The trim and doors are the company’s bread and butter, Diane and Ken agree. 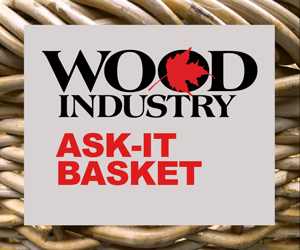 It also feeds Diane’s passion while providing a huge source of leads and contacts for the woodworking shop. Having two operations under one roof provides a great balance, too. The people that work at Ferndale come from different backgrounds and have different strengths. 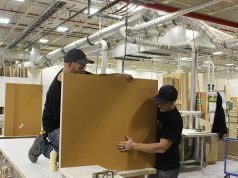 On the production side of the trim and doors in the facility, a number on staff who started with the basics are now fully-fledged installers and cabinetmakers. “Sometimes it’s just a guy who started out on a machine and we saw potential,” says Diane. “I find that it’s great for us to find talent, where we can say he’s got more of an eye and a creative sense. Recognizing the potential in their personnel and people in the community who are struggling to fit in is a point of pride for the Fredericks. 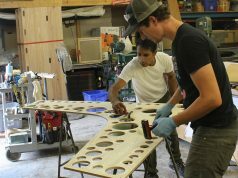 The couple work with Habitat for Humanity, a local food bank and Talk Is Free Theatre group in Barrie, bringing their construction expertise and material donations as needed. They have a son and a daughter, with the former on the autism spectrum, a condition that presents specific life challenges. Their understanding of ASD (autism spectrum disorder) has led Ferndale to hire two individuals with ASD in recent years, as well as provide seasonal work for their 19-year-old son as he attends college. “With people in general — I find that everybody has quirks,” says Ken. “There is not a single person who I have ever met, who if you know them long enough, doesn’t have some kind of a quirk. “With autism, it tends to be a social quirk which is noticeable very quickly.” Diane and Ken have found with ASD, it is not generally a learning quirk. Doing great work can have unintended consequences for those that employ people on the autism spectrum, however. One employee with ASD, Jordan, who had trouble initially with sensory overload from noise in the shop, is quite detail-oriented when it comes to tidiness and quality control.